If you’re looking to bring a little culture into your life, or just want a fresh way to experience Center City, this month’s Art Crawl Experience might be just the ticket. Once a quarter local DIY aficionados, art enthusiasts, and crafters converge for a night of artistic exploration. 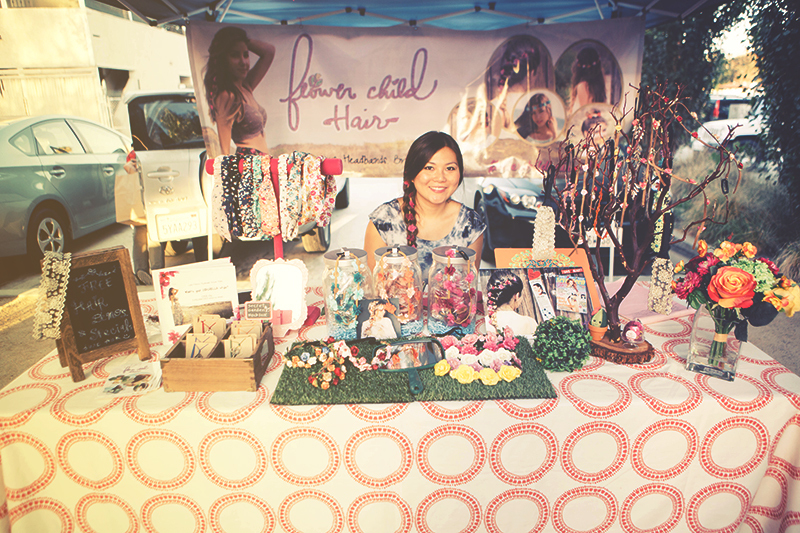 Indie craft fair stand at previous Anaheim Art Crawl Experience event. Saturday, November 12 from 6pm to 10pm stroll and view public artwork, pop into pop-up galleries or tour some of Center City’s more traditional style museums. The brainchild of artists and community leaders, this unique art walk is a great way to view a variety of creative works in a fun, casual atmosphere. If you haven’t taken it in already, the Art Crawl is a perfect opportunity for a self guided tour of the “Art of Anaheim.” Start at Center Street Promenade and wander down the road, looking for the circular plaques that signify a public work of art. Highlights include Peter Shires’ “The Neighborhood” installation or the “Hammer Clock,” which stands 12 feet high on the corner of Clementine and Promenade. Not your typical local holiday craft fair, the Art Crawl Experience is packed with live entertainment, food trucks and more. Of course for those who love good DIY craftsmanship and home-made handiwork, there are rows of locally hand-made creations in the indie art area. These carefully crafted treasures are perfect for getting a jump start on that holiday wish list. 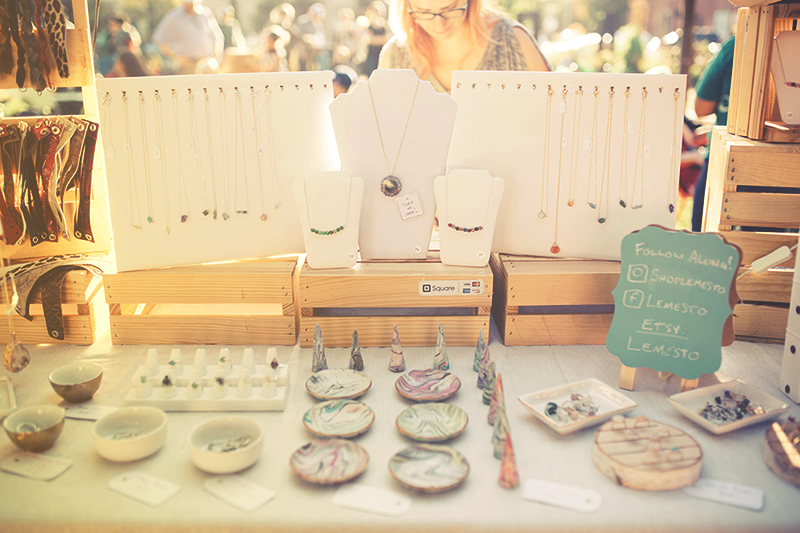 Craft jewelry stand at Art Crawl event in Center City Anaheim. Even the local shops get in to the artsy spirit during this event. Many of your favorite haunts will play host to pop up galleries, giving you a chance to take in the view at a variety of venues. For a more traditional art tour experience, local galleries like Joy Art Gallery, Promenade Gallery, Center Gallery and more will be open for touring. If you plan to have the kiddos in tow, or you just feel like waxing a little holiday nostalgic, stop by Muzeo. This night will kick off the second annual Holiday Model Trains Exhibit presented by the Toy Train Operating Society and Train Collectors Association.